Happy Thursday Everyone! Today I am linking up with Glitz and Gold & Hunters of Happiness for another Thursday Link Party! Hope you enjoy. Is it me, or did Labor Day get here way too fast? Seems like summer has flown by, and although I’m excited for Fall, I will miss the sunshine of summer. My boys and I pretty much lived at the splash pad this summer! 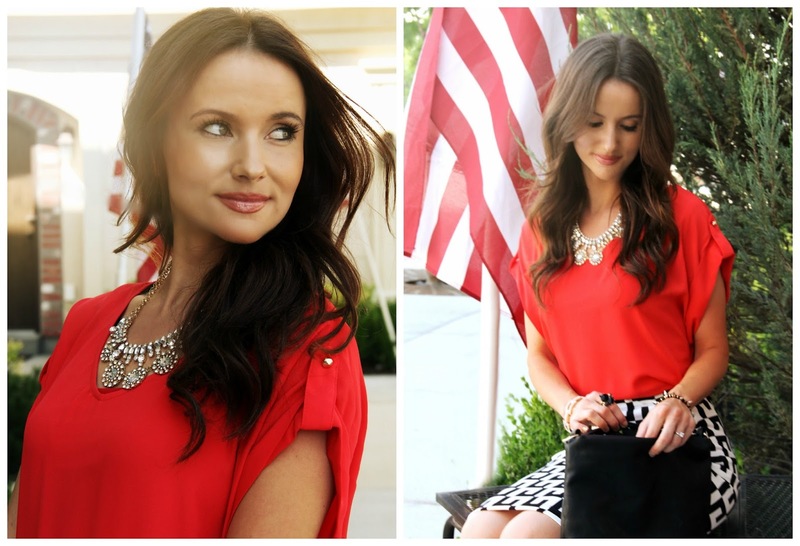 This labor day look was inspired by this amazing leather leopard clutch by Malibu Bows. 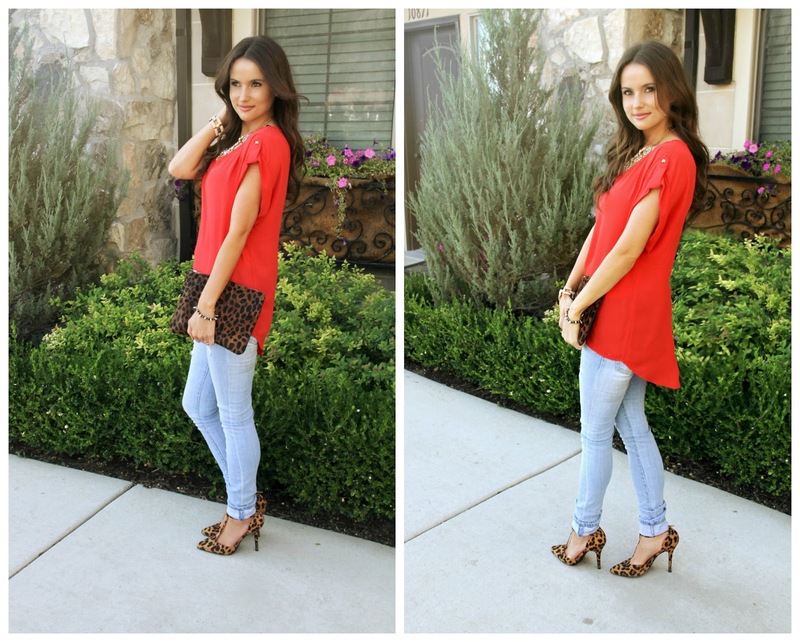 What better color to wear with leopard, than a bright bold color like red? I had been on the look for the perfect red top for months now. I finally found one for a great deal at F21. Its modest, simple, and can be worn dressed down or dressed up! Hope you all had a fantastic labor day weekend! Hi Aly! 🙂 It is very lightweight. Perfect for hot days, and can be layered for cold ones. You will love this top! What a cute post idea! I love both looks but the red really pops when paired with that patterned skirt. And I think I need to go order those leopard heels NOW! Thank you! 🙂 I just checked out your blog. We should definitely collaborate sometime. I just adore this whole outfit! I mean you are beyond gorgeous but I love your style! I just started following you! Cant wait to see what fun outfits you will put together next! It was so good to meet you !